Momentum started swinging Valencia’s way after a Nov. 20 loss to West Ranch (the team Valencia ended up sharing the title with). “We had a come-to-Jesus kind of moment,” Sanchez said. No such crisis was necessary Tuesday. Valencia (16-12 overall, 9-1 in league) used a 10-2 run in game one to turn a 7-7 tie into a 17-9 lead. Kayla Konrad ended the game with a sharp kill. The Vikings built a 6-0 lead in game two and never trailed. Another big run in game three, this one 14-0, pulled Valencia out of a shallow 4-3 hole and into a 17-4 advantage. It all added up to Valencia’s fourth straight sweep in league play. Valencia beat West Ranch in three games two weeks ago to position itself for yet another title. Tuesday the Vikings closed in on the crown. Valencia freshman Kaelyn White had seven kills, Kelsey Knudsen had 10 digs, and Kiora Sanchez had 15 assists. 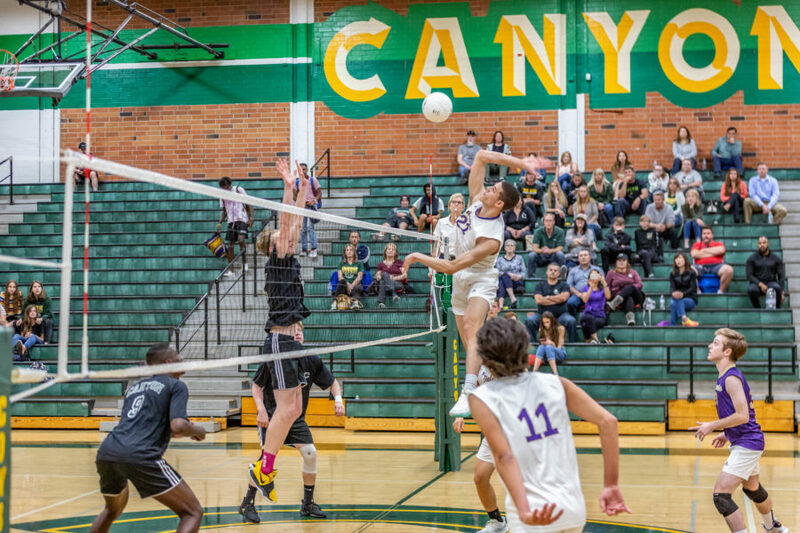 Sasha Thomas Oakley led Canyon (2-8 in league) with five kills, while Denali Lyons followed with four. Cowboys coach Robert Treahy called the match disappointing, but he said it was part of a season focused on changing the program’s culture. “It was a learning process,” Treahy said. The CIF-Southern Section playoff brackets will be released Friday at 2 p.m.